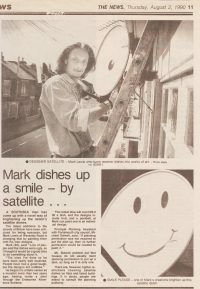 In 1990 I became the first person in the world to paint satellite dishes as a business and received international media attention including Sky TV, European magazines, and national newspapers. 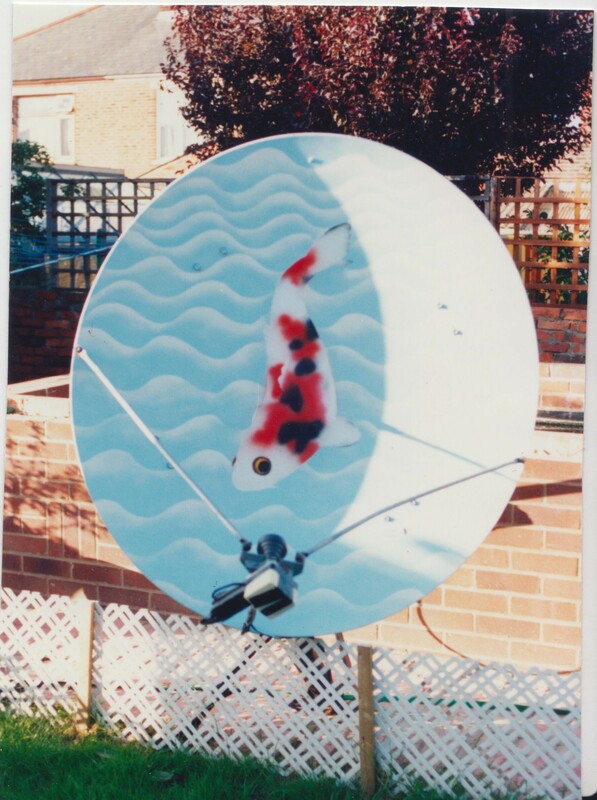 It all started up when I was already a muralist for a couple of years looking for spaces to paint and then satellite TV came out along with those ugly white dishes. Some good friends Angie Campbell and Paul Gallier who lived in Waterlooville said they wanted a smiley face on their dish on the front of their cottage which was the first house coming into the town. 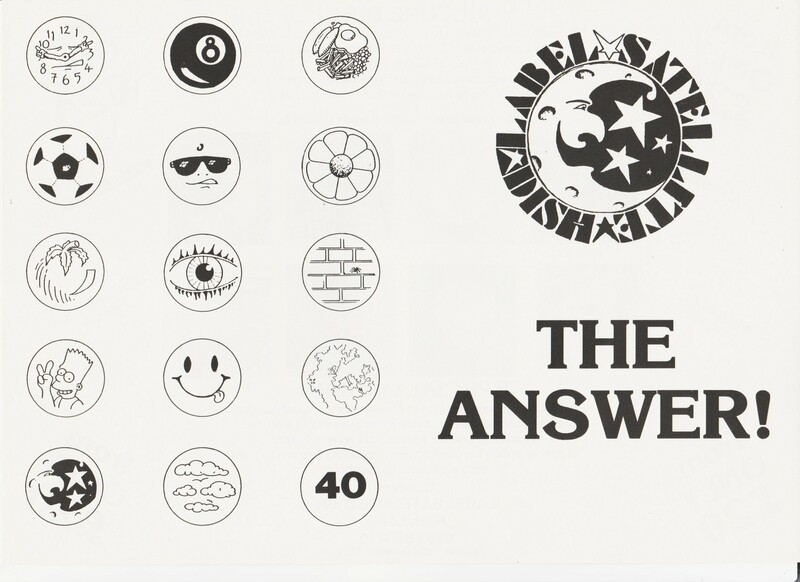 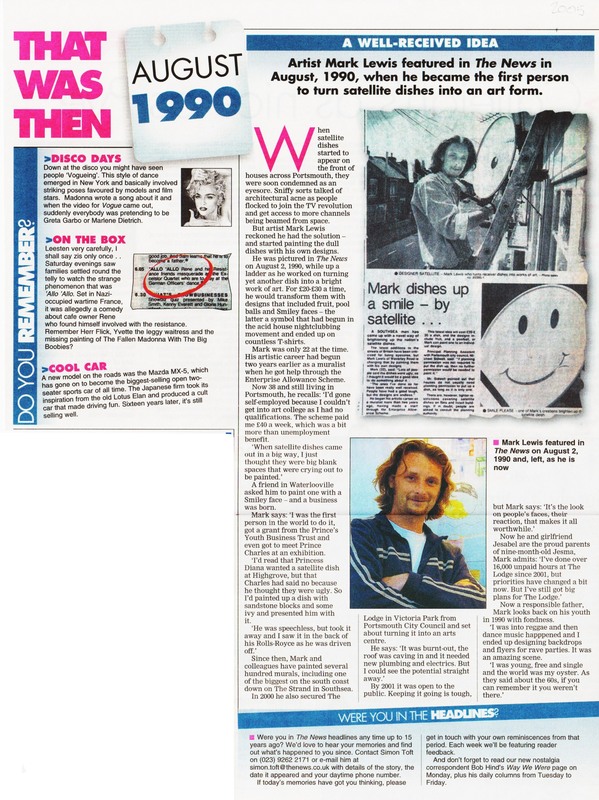 This became so popular that the taxi drivers use to say what end of town the smiley end? 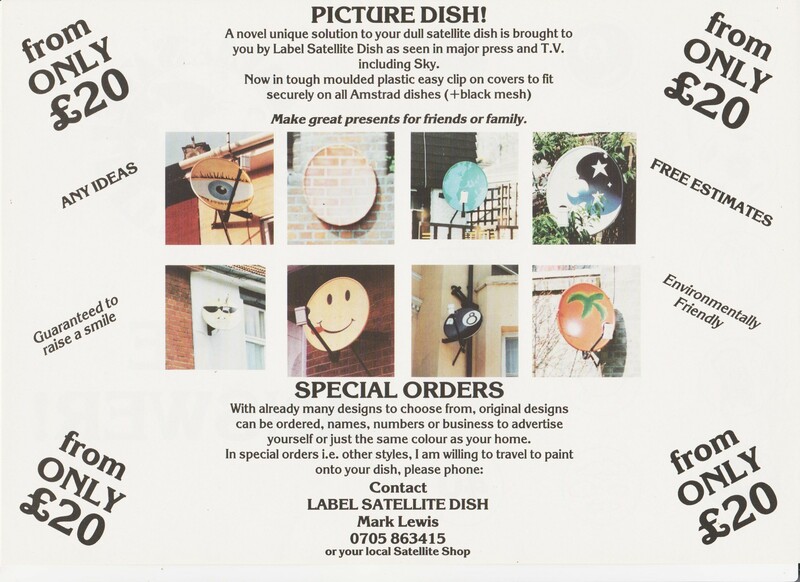 Many more commissions followed and I kept contacting Amstrad to partnership up with me and to offer camouflaged designed dishes at shop level when purchased. As whole counties were banning them outright in the UK due to the stark whiteness on buildings there could have been a compromise. Amstrad did finally bring out brown dish covers which I started to paint and mail order around the country, yet they never replied to my letters. 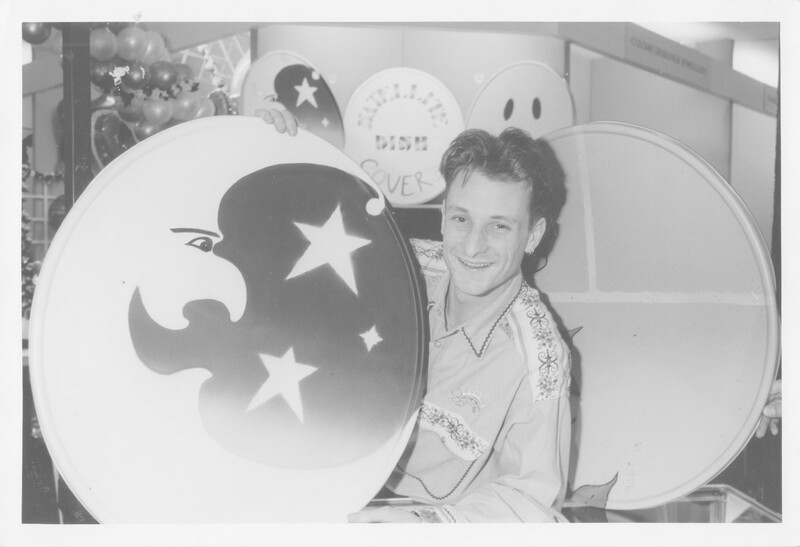 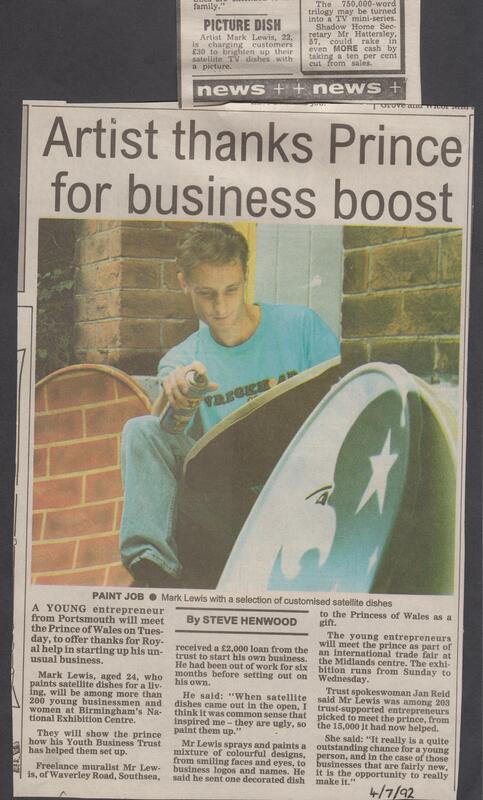 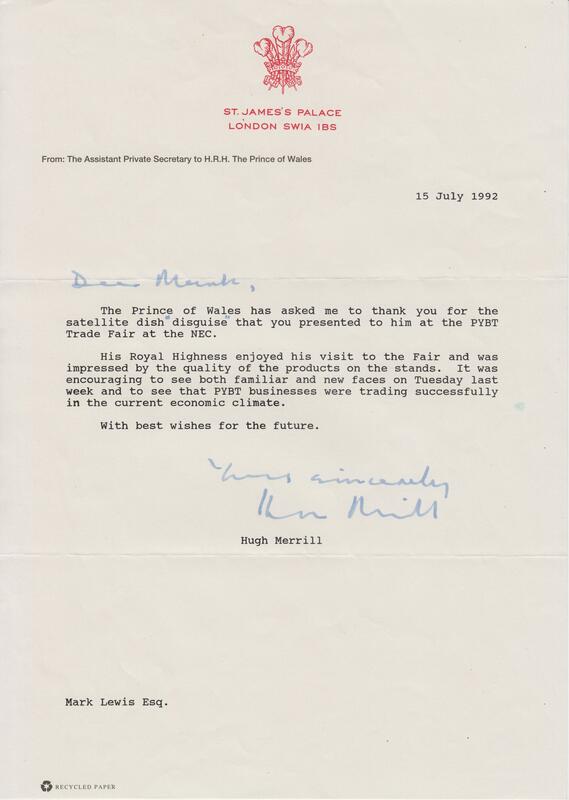 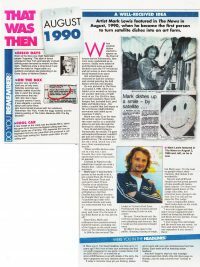 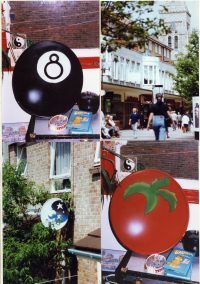 My Label Satellite Dish business won an award from the Princes Youth Business Trust (PYBT) and I exhibited at the Ideal Home Exhibition at Earls Court in March 1992. 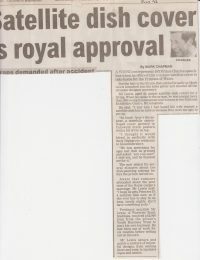 This was where Princess Diana was booked to meet the young entrepreneurs at the PYBT stand yet she snubbed us, it seems due to marital problems at home. 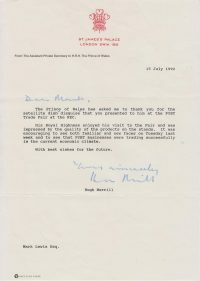 As in May of that year, the publication of Andrew Morton’s book had exposed their affairs. 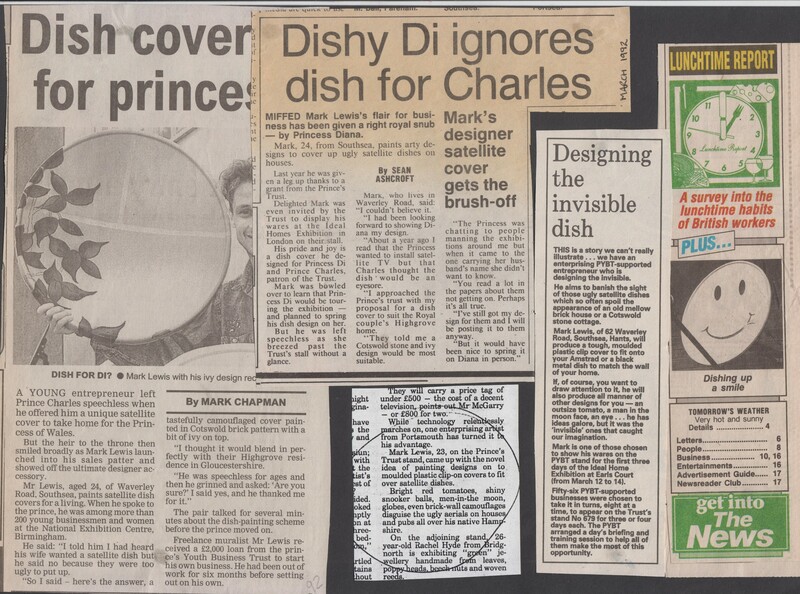 At an exhibition at the NEC in Birmingham in July 1992, I presented HRH Prince Charles with a camouflaged dish cover for his Highgrove home. 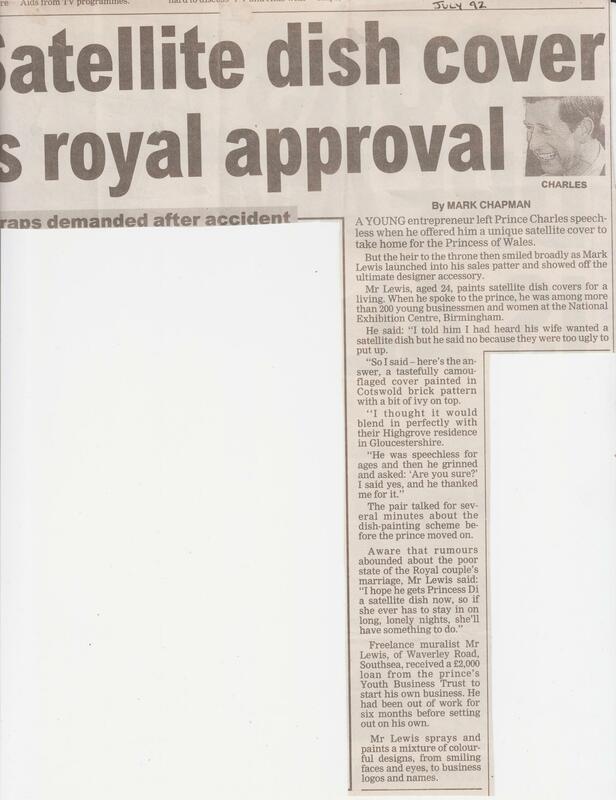 I found him to be pleasant and interested in what I had to say maybe except when I mentioned a newspaper article a while before that Diana wanted a satellite dish at their Highgrove home for all those lonely nights but Prince Charles said no as they were unattractive and a blot on the countryside. 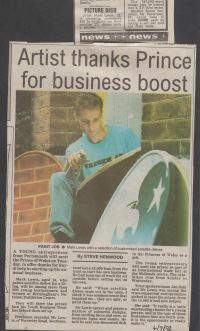 So my pitch started with this story and after a few awkward moments I declared ” well here is the answer! 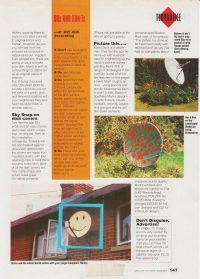 a satellite dish cover camouflaged as your Highgrove home with ivy” we chatted for a few more minutes about how the business was going and the various designs you could have. 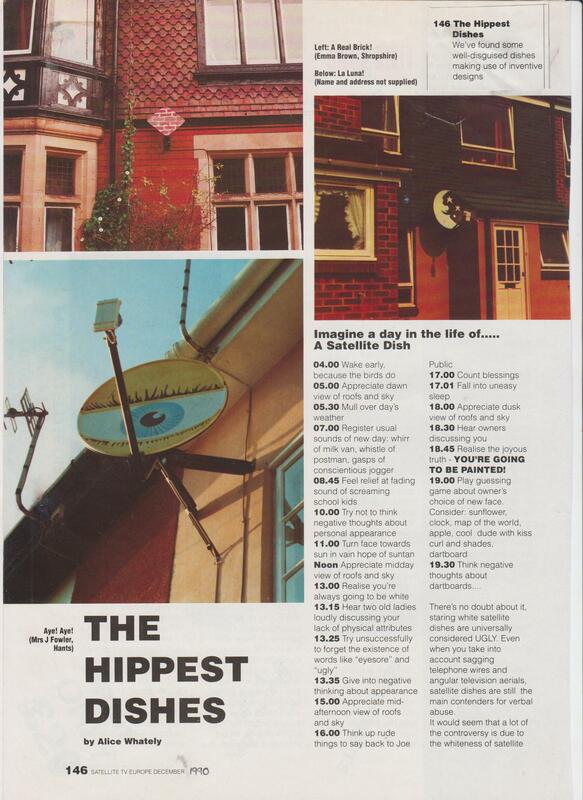 Later on in the day, I saw his Rolls Royce drive off with the dish cover on the backseat. 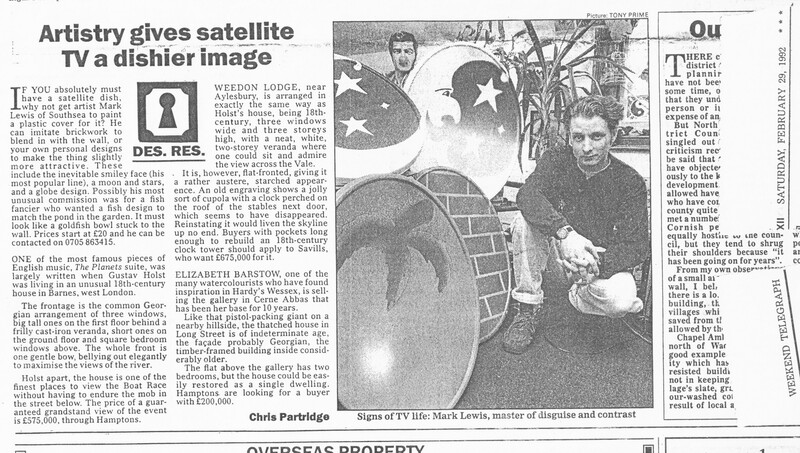 I was later sent a letter from Charles thanking me for the satellite dish cover.